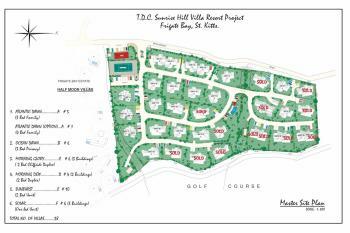 Sunrise Hill Villas are reflective of true Kittitian architectural designs, coupled with a modern thrust. The traditional element is used as a modular core with very "clean line" modern attachments to complete the composition. The end result is a Villa design with a unique and distinctive identity, which exhibits strong characteristics of a small plantation house with unmistakable elements of efficiency and contemporary uniqueness. Lounge on your verandah and enjoy the Sunrise and Sunset views or Moonlit nights, while being soothed by the fresh air from the Atlantic Ocean, Caribbean Sea, or the Mountain.